The SS website revamp has been well underway and taken countless turns and dips–all for the better, of course! One highlight in particular was a recent photo shoot with the amazing, Whitney Thomas at his new studio, The W. Whitney has photographed people of all walks life–celebrities included (Wendy Williams, Anthony Hamilton, The Crews family, and more). Located at 1080 Delaware Avenue here in Philly, the studio has a great view with crisp, white space and lighting. The shoot wouldn’t have been possible without fabulous selections from designers and boutiques such as Melanie Marie Accessories and Aoki Boutique! The four-hour shoot was a great success! 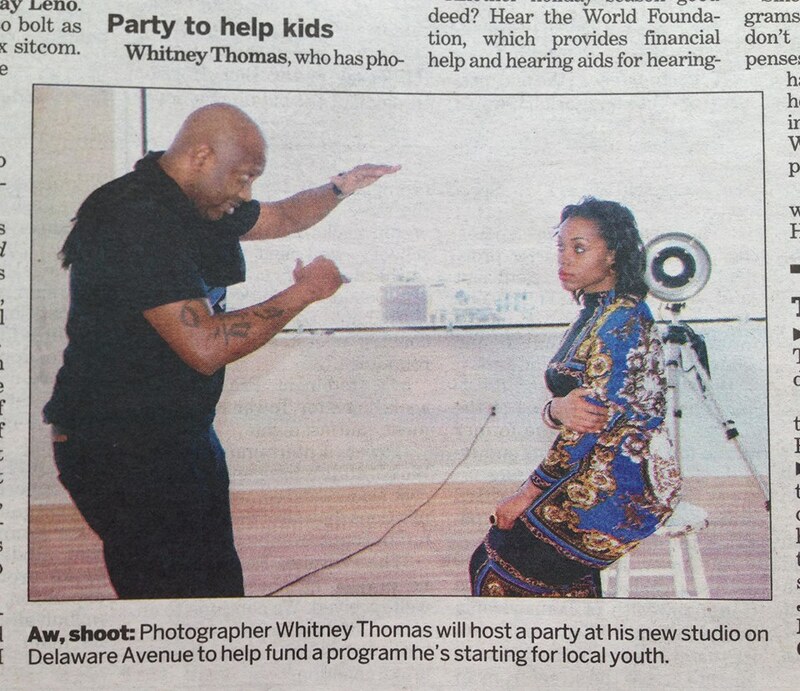 Coincidentally, a photo taken during the shoot by my stylist, Sareena Kennedy, made the Philadelphia Daily News the next day for an upcoming event he’s holding. On Saturday, December 21st, Whitney is inviting everyone to come out and celebrate the opening of his new studio affectionately titled, The W.
Attendees can browse his Photo Exhibit, “Beautiful Cool”, as we enjoy wine and hors d’oeuvres, music and a fabulous atmosphere. Advanced admittance is a donation of $25, part of which will fund his upcoming class, Exposure. The class will teach young people photography and entrepreneurial skills. Click here to get more information and reserve your tickets now. Anywho, check out some behind-the-scene’s video below and stay tuned for the early 2014 unveiling of the new SincerelySyreeta.com!